Magneti Marelli provides a complete set of professional software applications dedicated to the analysis of telemetry data and management of electronics devices. All software products are the result of years of research and collaboration in close partnership with main actors of motorsport. The different needs both large and small have been developed over time by making products that are extremely powerful but at the same time easy to use. The transfer of technology between the automotive world and motorsport is constantly growing. The software applications follow this trend becoming more open and flexible tools for applications that are not strictly racing. For all software products Magneti Marelli provides continuous development and support, also giving to clients the ability to introduce customisations. All products come with extensive documentation and examples. Last but not least, attention to the confidentiality of data has historically been a focal point for Magneti Marelli. All the information of the team, either telemetry data or configuration parameters of the vehicle, are protected with advanced encryption systems, always guaranteeing the highest level of security. 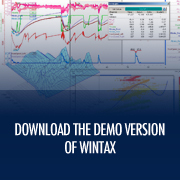 WinTAX4 is the software dedicated to the analysis of telemetry data. Its flexibility allows you to use it at every motorsport level, adapting to different needs: from the highest levels of motorsport to those who looks for the first time at racing world. 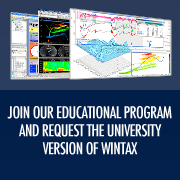 WinTAX4 is appropriate for an individual data analyst or for many professional engineers all monitoring telemetry together. Sysma is the software dedicated to the management of the engine control unit (ECU), the Datalogger, Dashboard and any other additional module installed on the vehicle. A complete suite of add-on modules increase the potential of WinTAX4, as well as the APIs interfaces allow WinTAX4 to be used in conjunction with external applications or third party telemetry systems. WTS is the real time telemetry data distribution infrastructure. The software distributes the real-time live telemetry fluxes over the garage network to several clients. VMS module allows running on PC of Simulink®-based models of the on-board ECU. The user can simulate or compare controls and strategies in off-line mode against logged data. Marelli Pit System tool, for Pitwall applications: graphic tool for intuitive and easy visualization of vehicles position, check the state of engine/vehicle, performances analysis. MPS4 displays live telemetry of the vehicles together with lap-by lap statistics. MPS4 receives and displays weather data distributed over garage network by WinMeteo.